Report 'Why we quit our city jobs at age 27 and 29 and opened a hostel in the mountains'? Hi guys! We wanted to share our new blog post about how and why we opened a hostel in the White Mountains in 2015. We hope this post will help others who are in the start-up phase of opening a hostel. We'd love to hear from other new hostel owners about your start-up experiences! Click the link above to see the post in color with pics! Rarely does a day go by that we are not asked, “What made you want to start a hostel?” While the answer contains some common threads, it varies from one telling to the next. 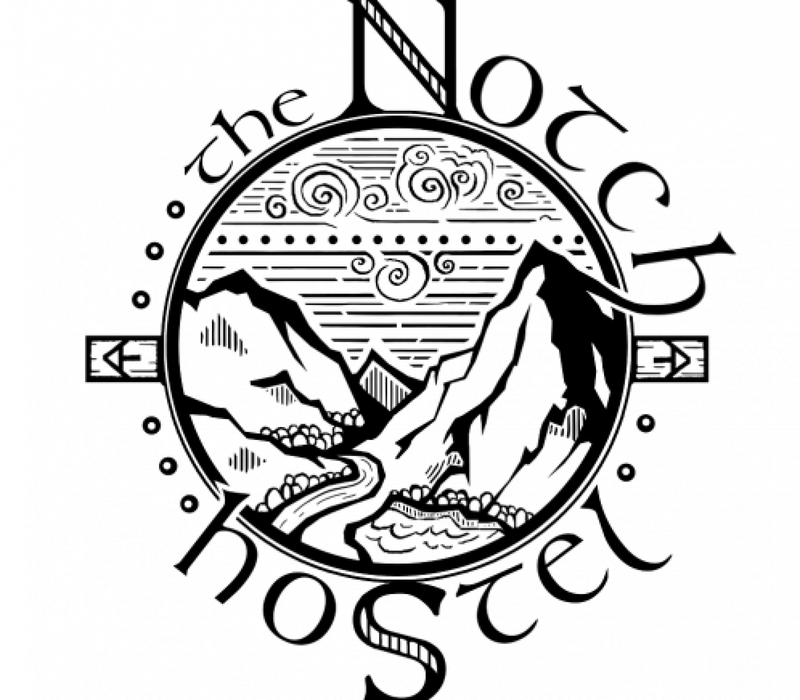 This personal blog post is about the genesis of the Notch Hostel – the newest hostel in the White Mountains. It all started a year and a half ago. My wife (then girlfriend) Serena and I had been hiking and backpacking in the White Mountains year-round for several years and had both fallen in love with the mountains. In July 2014, we took a 2 week vacation from our jobs in Boston (I was a construction field engineer, she was a research assistant) and traveled to the west coast to climb Mt. Rainier and Mt. Hood. This was my second time climbing Rainier, and much like the first, we encountered beautiful conditions. On July 5th at 6:30 am, Serena and I alongside friends Chris, Josh, and Becky summited Rainier via the Emmons Glacier. Being in the mountains can have a transformative and perspective-broadening effect on those drawn to them. During our trip, Serena read “AWOL on the Appalachian Trail”, a first-hand account of thru-hiking the Appalachian Trail by David Miller. 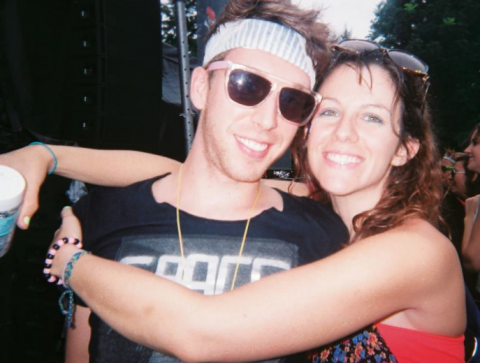 (Little did we know he would later serve as one of our go-to consultants on running a hostel!) At some point on our journey home, Serena turned to me and said, “We should start a hostel in the White Mountains.” It could have ended there. After all, we are no strangers to scheming up elaborate plans for books, business, or shows (including a fully fleshed-out weight loss / survival show about hiking we would call “Trail to Fitness” – NBC, if you’re reading this, feel free to drop us a line). As fate would have it, the hostel idea stuck. Tapped into Seattle-Tacoma airport wifi, I browsed Zillow.com for houses that met our needs. Over years of hiking in the White Mountains, we had come to know certain areas fairly well. To the east is the tourist epicenter of Conway and North Conway. To the west are the villages of Lincoln and North Woodstock. Connecting these two points is the famed Kancamagus Highway, home to Loon Mountain and a destination known well to hikers, skiers, and cyclists in the Northeast. Conway already has a successful and well-regarded hostel, the White Mountains Hostel (the owner Tim Westwig has since become a good friend and valued consultant). On the northern side of the White Mountains, Gorham has a lovely summer hostel just off the Appalachian Trail run by Marni Bumstead. But the Lincoln/Woodstock area, despite being a mecca for hiking, sking, snowboarding, climbing, cycling, and other outdoor sports, had no established hostels and very little in the way of affordable accommodations. The Notch Hostel is located just off Rt. 93 at Lincoln/North Woodstock, a few miles south of Franconia Notch. Five minutes into my first search on Zillow.com, I found the charming 1890, 4000-square-foot farmhouse in North Woodstock, NH that was to become the Notch Hostel. Right off Exit 32 from Rt. 93, one mile from the Woodstock Station, two miles from Lincoln’s Loon Mountain, and ten minutes from Franconia Notch, the house couldn’t have been in a more perfect location. As we prepared to board our flight home, I showed Serena the house on my phone and we agreed it seemed perfect. Back in the real world, Serena and I were living in a cozy 1-bedroom apartment in Waltham, MA. Both in our mid-20s, the previous year had seen us each land fantastic city jobs. Yet sitting across the kitchen table from each other, we discussed plans to blow up our city life and escape to the mountains. I called real estate agent Steve Zalla of LinWood Real Estate about the house and began to research the legalities and logistics of starting a New Hampshire hostel. Sparing the details, the 3-month process that ensued could aptly be described as testing and then walking through a series of doorways, each of which could have locked us out from our goal. If you’ve ever started a business or purchased a home, you can imagine some of these challenges. Miraculously, all these doors swung open for us and the entire process of establishing the business went quite smoothly — it felt like the mountain gods were cheering us on and helping us to make our goal a reality. On October 16, 2014, we became the owners of 324 Lost River Road, North Woodstock, NH. We were ecstatic. The sellers had lived there for 35 years, raised their children there, and had maintained the property beautifully. They were gracious and kind, and the place radiated with their positive energy. Our first night at our new house, we giddily curled up in our sleeping bags on the living room floor, with various helping family members and friends strewn around the house. Saddled with a new mortgage payment, we moved out of our apartment in Waltham, donated all our furnishings to the hostel, and took up temporary residence at Serena’s parent’s house in Harvard, MA, during the workweek. I redid flooring in the hostel kitchen, and Serena and I built a mosaic countertop. We spent the next 7 months working in Boston during the week and driving up to the Whites every weekend to work on the hostel. We painted walls, built new showers, redid floors, added a stone fireplace, built bunk beds, installed fire escapes, repaired the deck, and took on about 500 other projects in order to convert the house into a hostel suitable for White Mountains visitors. For those of you who are dreaming of opening your own hostel, I’ll describe the process of starting a hostel in a future blog post (or five). But for now, I’ll just say that it was the most taxing and gratifying job I’ve ever undertaken. Needless to say, we did not make it out on too many hikes! On our honeymoon in the Alps, just days before we opened the Notch Hostel! Fast forward to May 2015 — Serena quit her job and moved up to the hostel full-time to get ready for our planned opening day in July. On June 27th, 2015, Serena and I got married in our hometown, Harvard, MA, went on a two week honeymoon to the Alps where we did a 8-day glacial traverse from Mt. Blanc in Chamonix to the Matterhorn in Zermatt via the climber’s Haute Route, with me summiting the Matterhorn on the final day. We flew home on July 11th, drove back up to the White Mountains to put the finishing touches on the hostel, and opened for business on July 15th. We were booked solid our first weekend and have been busy ever since. Once I was reasonably convinced we wouldn’t go bankrupt, I quit my Boston job so I could work at the hostel full-time. I love my life today and I’ve never looked back! We feel extremely blessed and are filled with gratitude for all the family, friends, and consultants who have helped us get to where we are today. Most of all, we are grateful our guests for joining us in creating a new community in the Lincoln/Woodstock area, and for proving that our crazy idea was worth while! If you haven’t visited us yet, come on up — “like” us on Facebook and book your stay today at NotchHostel.com. Report 'This is SUCH a beautiful'? This is SUCH a beautiful story! As I write this from Portland OR with views of Mt Hood - I can completely see your dream unfolding. Please please let me know if you are available for an aspiring hostel owner to email some questions your way !